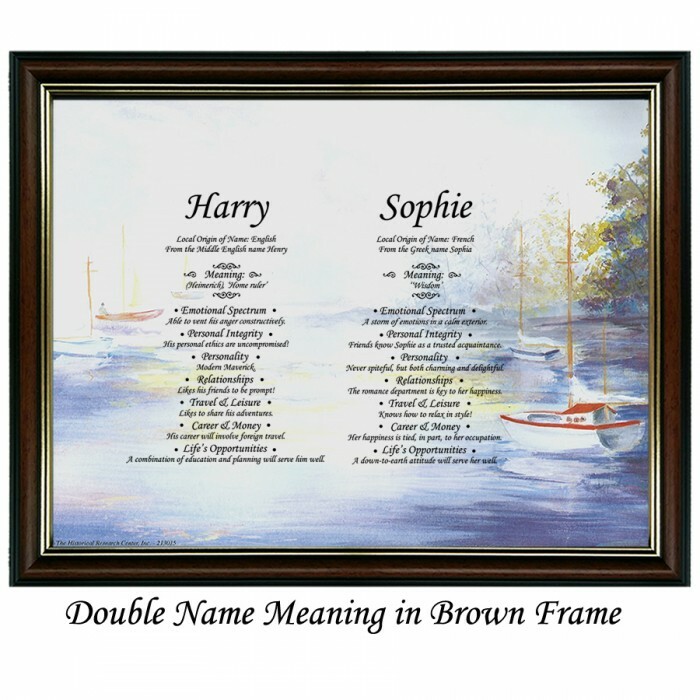 This will give you the meaning of the names and it will also show you what the persons' characteristics are supposed to be. You can add a message at the bottom for free. 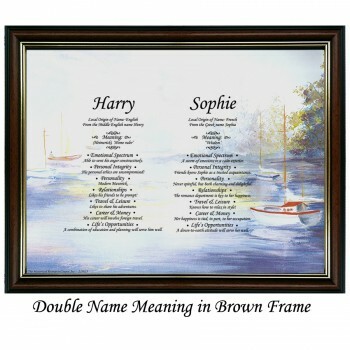 A popular message is "Together Forever"
Dates of birth can be added which will show with birth sign they are born under.